(Warsash, United Kingdom)- The Warsash Sailing Club is about to undertake its annual rite of spring- two events that run from mid-March to the end of April. 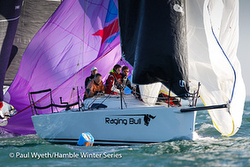 The first is the Helly Hansen Spring Series that starts March 17th and runs every Sunday until April 28th. During the mid-series break, the Warsash SC hosts the Spring Championship that runs over two weekends from April 13-14 to April 27-28. 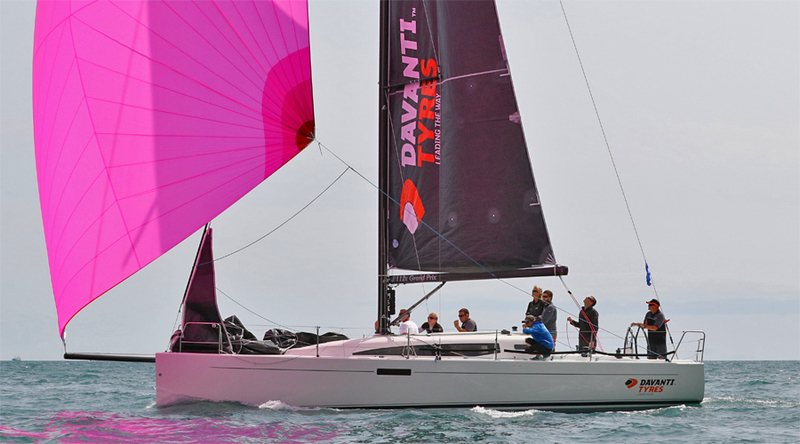 It is a hugely popular event for J/sailors to get themselves tuned-up for the major summertime events on the Solent and for the RORC Offshore events that run all summer. The larger J’s are sailing on the Black Group/ Championship course; that includes a large IRC contingent of J/teams sailing J/111s, J/112E, J/122, J/88s, J/92, and a J/99. Chaz Ivill’s J/112E DAVANTI TYRES and Chris Daniel’s J/122 JUNO. All are familiar boats, all famously fast! That should be an interesting class to watch! David Greenhalgh’s J/92 J’RONIMO and Adrian Johnson’s J/105 FLAWLESS J. The smaller J’s race on the White Group/ Championship course include the J/70s. Dueling for leadership all spring long should be Doug Struth’s DSP, Paul Ward’s new EAT SLEEP J REPEAT, Graham Clapp’s JEEPSTER, Philip Rees’ BRYN, Calascione/ Ripard’s CALYPSO, Alex James’ POLARIS, and the Ian Wilson & Marshall King duo on SOAK RACING from Ireland. 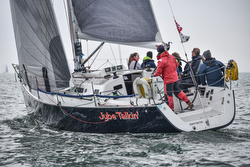 For more Helly Hansen Spring Series sailing information Add to Flipboard Magazine.